Mama Love: Disney On Ice presents Dare to Dream! Easy Shopping with a $25 Giveaway!! Lumnique Candles Review & GIVEAWAY! KIDZIES Review & 20% off Code!! Onesta Hair Care Review and Giveaway! Easy Kids Smoothie Recipe Using Yummi Pouch! Mohawk & Vinyl Disoder Review & GIVEAWAY!! Luna B. Review & Giveaway!! 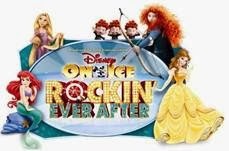 Last night My girls and I had an absolutely marvelous time at Disney On Ice presents Dare to Dream, in Salt Lake City! It was opening night and truly a magical experience to share with my daughters! The show was so fun, full of life and everything that you could expect from Disney! I Made a Short Video from the Show, Now I'm in no way a camera person, I was holding a two year old so I apologize for the shaky-ness but you can see how much fun the show was and how much that you don't want to miss out on this great Event! You can clearly see how Much Fun this show was! Mickey came out! This Face just shows how much the show was enjoyed! Attentions locked in on nothing but Princesses! The horse from Tangled was loved by everyone! 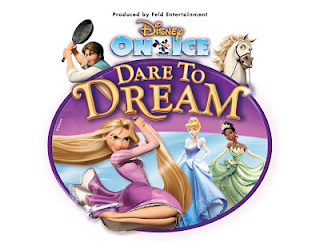 Overall the Disney On Ice presents Dare to Dream show was spectacular! Nothing less than Disney Magic at it's finest! All the girls Loved the show all their little faces lit up when they saw their favorite princesses in real life, it was an experience I know my girls loved and I just loved watching their amazement with the whole production! And of course with it being held at the Energy Solution Arena the Venue was perfect, Everything is always wonderful there! It's not too Late to get your tickets and have yourself a magical night! All seats are reserved and available from the EnergySolutions Box Office and all SmithTix locations, charge by phone at 801-355-SEAT or 800-888-TIXX and online at www.smithstix.com or www.energysolutionsarena.com. Tickets are on Sale NOW so hurry and get yours before they are gone!! !